Are Natural Cleaners Effective For Bathrooms? A clean bathroom is such a welcome sight. No matter what goes on there, it can be cleaned up and kept that way if you have some time and a ton of chemicals to spare! 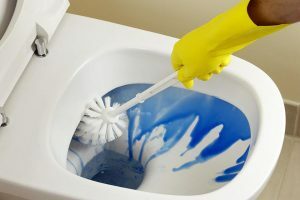 Bathroom cleaning, for those who are eager about it, can be a truly hazardous process. 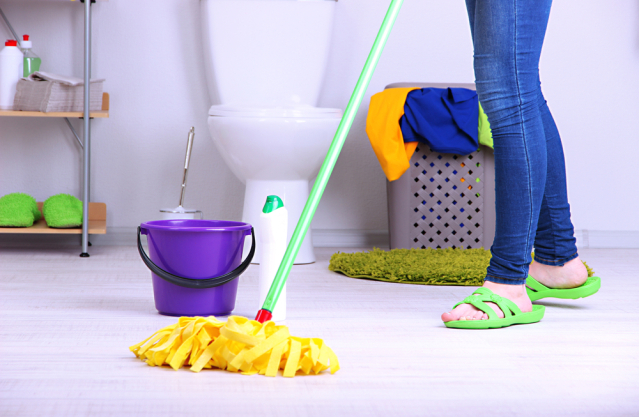 A bathroom cleaner is fully loaded with chemicals that can be poisonous for the person involved. However, with people more cautious about what they are using in their homes, natural remedies have become the rage for just about everything. Bathrooms and their cleaning agents aren’t too far behind. Using eco-safe materials to clean grout and other major bathroom dirt is the safe thing to do. Simply because eco-friendly products mean that your body isn’t subject to inhaling harsh chemicals in the name of cleanliness. You can have yourself a clean bathroom while using easy-to-source ingredients which also give your bathroom a sparkle! The reason people are turning to these natural methods is simple – the bathroom is one place that people spend a lot of their time at. After the kitchen, cleaning the bathroom takes up most of one’s time. Now, rather than being exposed to chemicals which could be carcinogenic, one is better off using natural ingredients which will not harm you. Vinegar – when mixed with equal parts water, vinegar is responsible for the shine in your mirror. Use with a cloth that doesn’t leave behind a trail of lint and voila – all sparkly and shiny! Baking soda – if you have bathroom counters, tiles, showers, and tubs in the house, then a paste with water and baking soda works wonders. While baking soda in food doesn’t exactly thrill people, this simple powder is a wonderful cleaner in the home. While a lot of people doubt the efficacy of natural cleaners citing their lack of concentration, what they don’t realize is that regular cleaning produces excellent results. Unlike what a lot of people believe – natural products are not exactly gentle. If concentrated enough, they can pack quite the punch. Ingredients like baking soda and vinegar are too strong to be directly consumed by human beings, however, when they are mixed in small amounts in our regular food, they become important to the fluffiness, or the lightness of a dish. When ingredients from the kitchen pantry become staples of the household it is hard to imagine using chemicals for anything – including your body. Bathroom cleaning is a tough and arduous job and it requires quite a lot of physical labor. 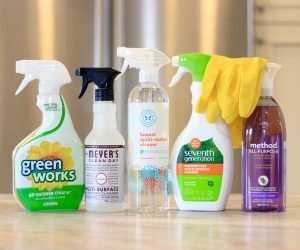 While it is easy to let the chemicals in cleaning products do the job for you, a small analysis of your kitchen will uncover hidden uses for many simple household products which will elevate them from the dusty old shelves to the center table display!!! Natural cleaning agents, while simple, do a very effective and targeted job. Like with cosmetics, you can do a spot test with products and see for yourself how well they work. If they don’t, then there’s always cake!